Have you planned your big Easter meal yet? Traditionally it’s a mid-day, room-temperature feast served after church. Our menu has been pretty much the same for over a century, dating back at least to Peter’s great grandparents in Warsaw in the early 1900’s. The menu has been honored through six generations, including Peter’s emigration to Canada in the 1950’s, through our marriage, kids, and a 5-year old grandchild. Lucy already has an adventuresome palate, is learning to cook, and last year loved some of the Easter dishes. This year she’ll try more and learn to love the rest before long. 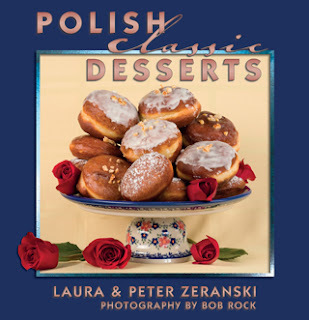 For the last month or so we’ve been tracking the Polish food blogs and Polish Facebook groups and checking out everyone’s favorite recipes. They all look wonderful. Some highlight the creative spin of contemporary cooks and each is a part of someones’ family tradition whether handed down through many generations or just one. But as you know, our focus is on heritage recipes and preserving the traditional dishes and flavors of many generations past. So here we want to share with you a very traditional recipe for a Polish Easter cheesecake. It’s absolutely delicious, a perfect ending for your Easter meal, and not hard to make if you follow the recipe exactly. Using the paddle attachment of a standing mixer, cut the butter into the flour until it forms coarse crumbs. Mix the egg with sour cream and add, then add the sugar and baking powder. Mix until all the ingredients come together into a soft dough. Refrigerate for 30 minutes. Roll out 2/3 of the dough to fit a 9x12-inch pan, buttered and sprinkled with bread crumbs. Bake at 375°F for 10 minutes. The crust will be only partially baked. Remove from oven and cool. Spread the raspberry jam over the partially baked crust. 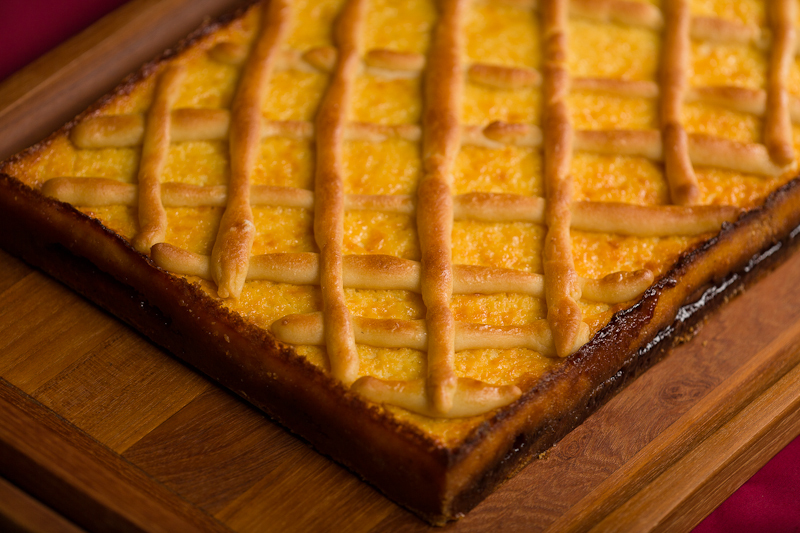 Note: if you wish to make a traditional decorative lattice on top of the cheesecake, reserve the remaining third of the dough and keep it cold until you are ready. If you’ve chosen to forgo the lattice, use the entire dough ball in the baking pan. Using a standing mixer, beat the eggs with the confectioners’ sugar for 5 minutes at high speed. Add the vanilla, and lemon and orange zests. Combine the cheese with the butter and flour and add to the egg and sugar mixture. Fold in the candied orange rind. Spread mixture over the partially baked crust and raspberry jam. Bake for 50 to 65 minutes or until the cake is firm. Remove and cool. To decorate the top with lattice, remove the cake from the oven after the first 30 minutes, or as soon as the filling is firm enough to support the dough strips without sinking. Form the remaining dough into thin, even rolls (like long straws) and place them diagonally across the top of the cheesecake in a criss-cross pattern. Brush the latticework lightly with a beaten egg white. Note: for aesthetics, try to lay out the lattice rolls evenly parallel to each other, but don’t worry if they break or don’t quite stretch to the edge. Stretch and seal the breaks and they’ll be just fine after baking – a few imperfections add rustic character to your cake. Return the cheesecake to the oven and continue baking for an additional 20-30 minutes until the lattice is golden brown and the cheesecake is firm.